Anthony Kwasi Nyarku, a retired schoolteacher, founded Christ is the Answer Preparatory School in 1997. After retiring to his home village, Adansi-Dompoase, his wife encouraged him to found a school, but he resisted until he had a dream in which his brother showed him the plot of land on which Christ is the Answer would eventually be built. Anthony took this as a sign and began. His school began with four students and now serves about 180. Boatong William's Class 2-level students at Christ is the Answer Preparatory School are encouraged to speak English inside and outside the classroom. 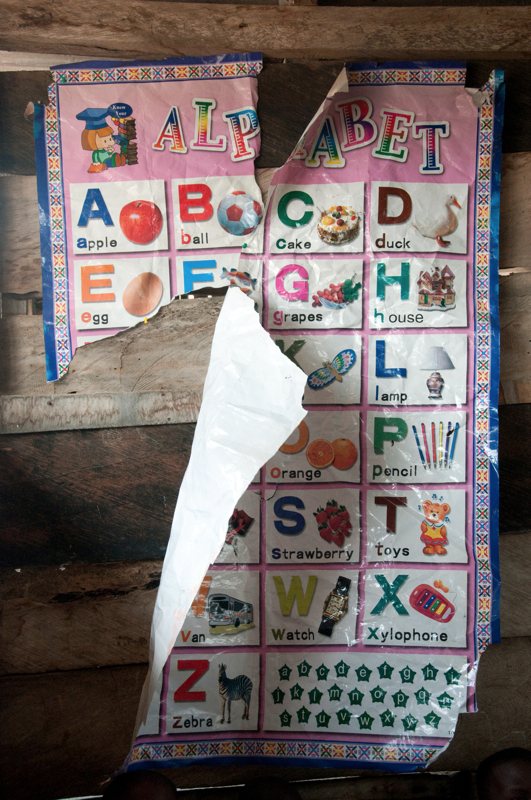 A torn alphabet poster hangs in the nursery of Desmercy School, where the students come from relatively low-income families. Though the school has benefited thanks to microfinance loans from Opportunity International, parents such as Richard Dedzoe, a mason, and Florence Oppong, a trader in foodstuffs, hope Opportunity International will further assist the school in improving its computer training and plumbing. 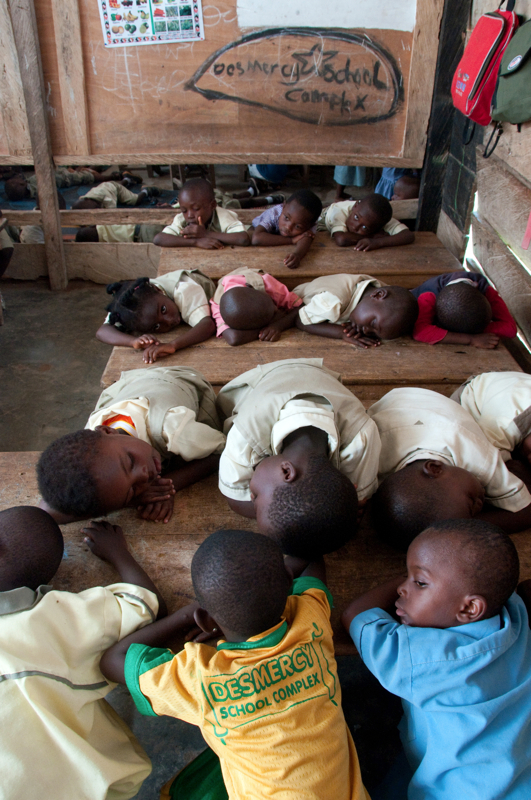 Children enjoy their naptime inside the kindergarten 1 and 2 classroom of Salomey Kortsu at Desmercy School. 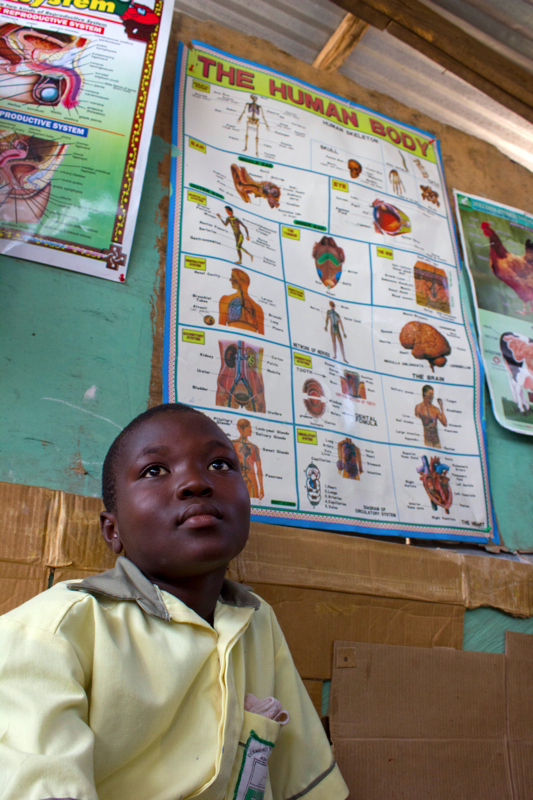 Bright Ofori is a Class 5 student at Desmercy School and the son of its founder, Mercy Senyegah. He has dreams of becoming a famous politician someday: "I want to be president to maintain peace and order in the country." A child in teacher Anane Vera's Basic Secondary 3-level classroom at Romesco International School learns about plants in the day's lesson. 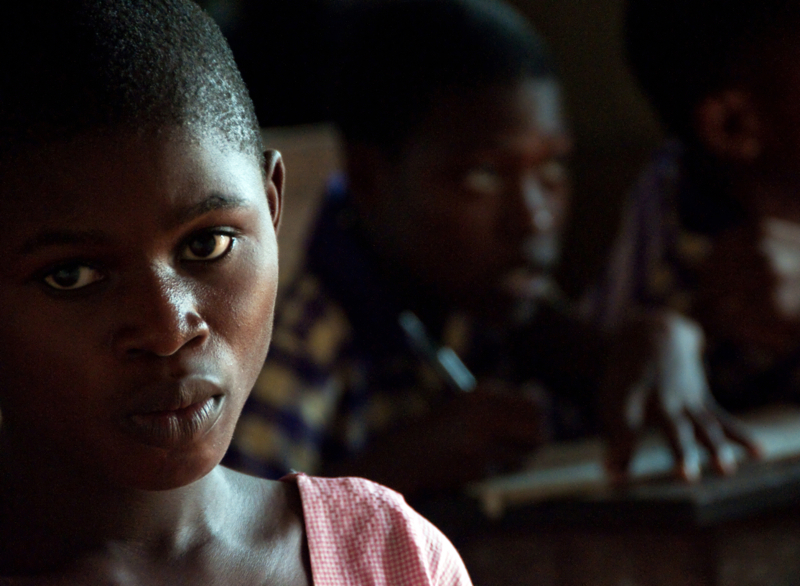 Rebecca Appiah is a Form 1 student at Romesco International School. Samuel and Rita Quaye are the proprietors of Samrit Academy. (Its name is a combined version of their first names.) Mrs. Quaye owned plenty of land and wanted to use it for something beneficial to her community, and the couple decided to use their resources to cater to the growing demand for high-quality education for local children. Students at Samrit Academy are served their lunch of kenkey, a popular dish of fermented maize dumplings usually served with soup or stew, in the mid-afternoon. 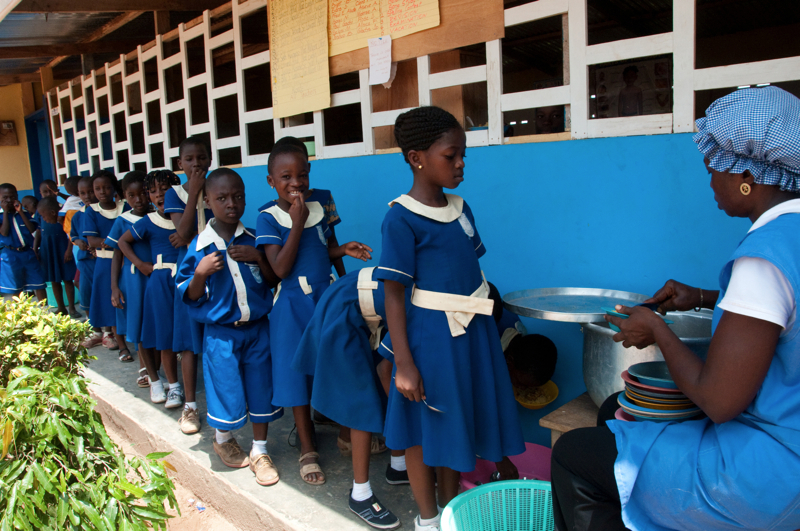 The school caterers receive training through Opportunity International to provide more nutritious and sanitary meals. This summer I worked as an intern for Students of the World, a nonprofit media-production company dedicated to pairing teams of college students with nonprofit organizations. My team—seven students from Harvard, Boston University, and the University of Texas at Austin, each of us with a specific role such as filmmaker, journalist, producer, or development coordinator—was partnered with Opportunity International in Ghana—a microfinance organization that operates in developing countries worldwide and provides services such as micro loans, mobile banking, financial advice, and training to farmers, school proprietors, and other small-business owners and entrepreneurs. One initiative that we spent a large amount of time documenting was Opportunity International's Banking on Education program and its partnership with the IDP Rising Schools Program. 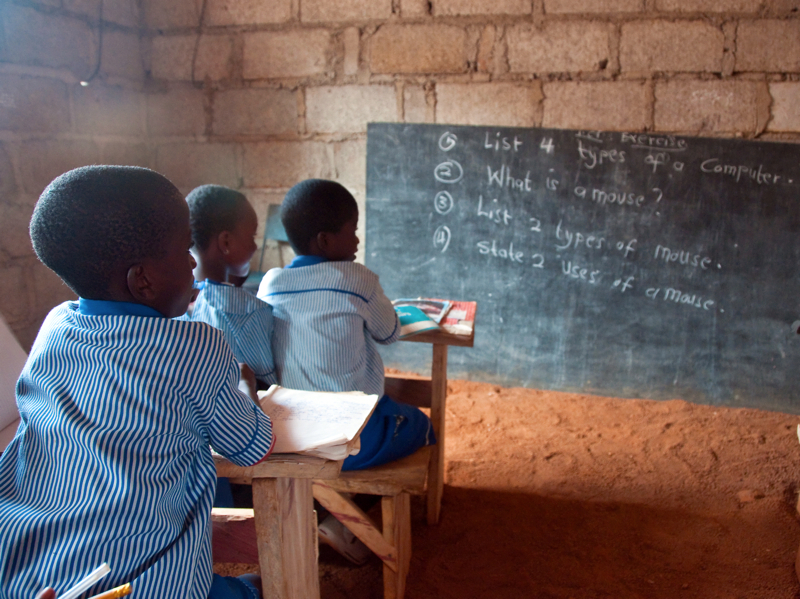 Ghana has a free public-school system throughout the country, but the quality of education provided is generally very low because of factors such as extremely large classes and irregular teacher attendance. Private schools are thus an important alternative, and make up 80 percent of the top-ranked schools in most districts. But because such schools are so costly, many parents cannot afford private education for their children, even though they view the government schools as a waste of time and resources. 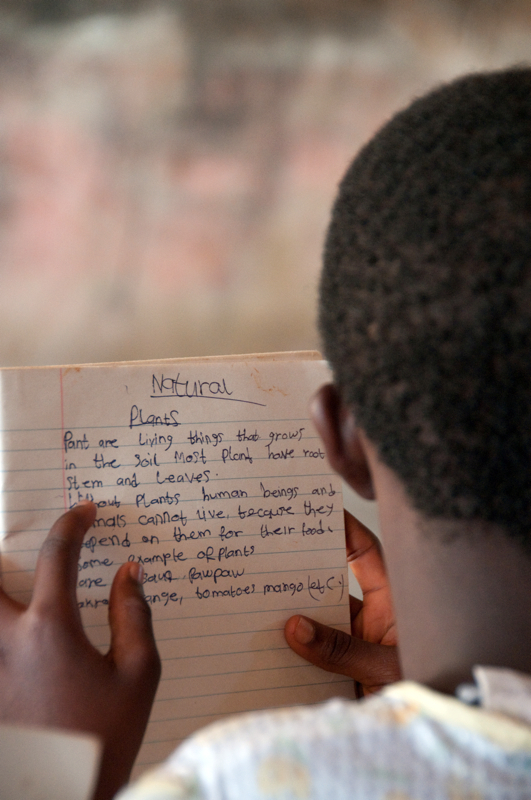 Furthermore, even many private schools are often in need of more funding and better infrastructure, as well as a sufficient supply of classrooms, books, school vehicles, furniture, and toilet facilities. 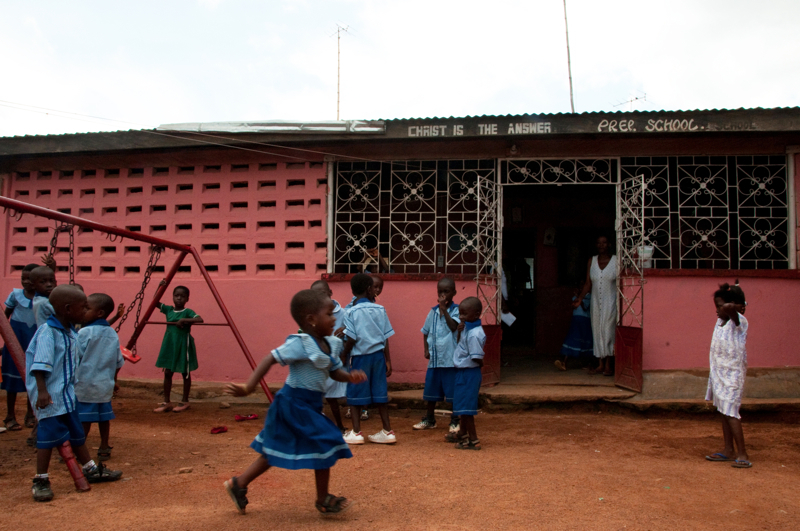 To aid these struggling private schools and the projected 1.6 million children who attend them, Opportunity International's Banking on Education program offers loans to private schools and training to school proprietors. Proprietors use the loans to hire better teachers, improve the infrastructure of their buildings, create more classrooms, and make other improvements. Often Opportunity International also provides loans to assist parents with the cost of tuition. 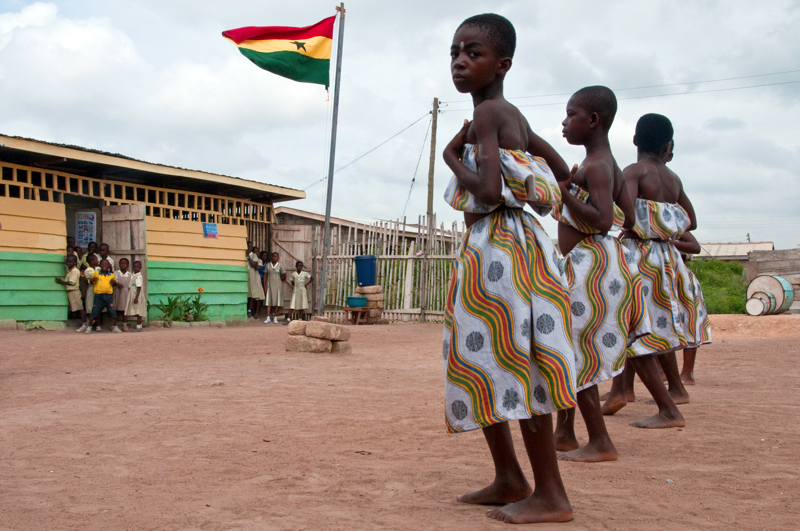 Two of the schools where we filmed, Desmercy School Complex and Samrit Academy, are part of this program; they are located in Zenu New York, Ghana, in a village about a two-hour drive from Accra. The two other schools we visited, Christ Is the Answer Preparatory School and Romesco International School, are both located in the village of Adansi Dompoase, outside Kumasi, and are part of a similar initiative handled by the IDP Rising Schools Program (in collaboration with Opportunity International and Sinapi Aba Trust). These groups have provided loans to private schools. In addition, school proprietors, teachers, and the caterers who provide food for the students during lunch hour receive training for their respective jobs. 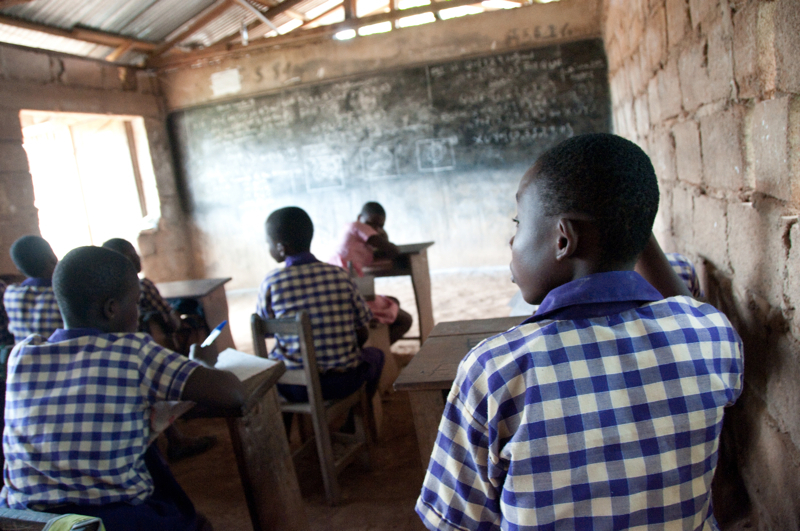 The juxtaposition of children learning about modems and hard drives in classrooms that often lacked or had only recently acquired cement walls or basic toilet facilities was striking but showed the efforts of private schools to prepare Ghanaian children for their futures despite challenges and lack of resources. 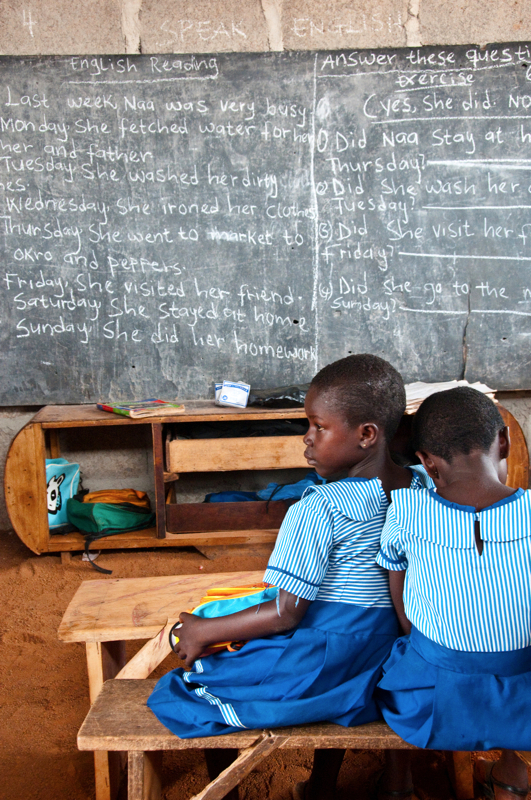 The Ghanaian educational curriculum reflects the awareness that computer skills are not just the domain of the wealthy, but are important for social mobility for children of all economic classes. Sara Joe Wolansky ’12 is photography chair of the Harvard Crimson and a resident of Pforzheimer House. A senior sociology concentrator with a secondary field in film studies, she has been taking photos for nine years and has been exhibited in several group and solo exhibitions on campus. She spent the summer working as the photography intern for the 2011 Boston Team of Students of the World, with funding from the Jaromir Ledecky International Journalism Fellowship.